Judge Michael A. Town is a career-long proponent of judicial well-being and supporter of problem-solving courts embracing therapeutic and restorative justice. As a new judge in the early `80s he remembers Sister Maureen Kelleher, OSF, then head of St. Francis Medical Center in Honolulu, encouraging him to become a “healer” as a judge rather than simply preside and officiate. He took that to heart in a big way! Not once in 31 years did he need to bang his gavel! As a trial judge for 31 plus years he was assigned to the Unified Family Court and Criminal Division of the Circuit Court in Honolulu, Hawaii. Judge Town was first appointed to the bench in 1979 serving first as District Family Court Judge. He later served as Senior Judge of the Family Court of the First Circuit from October 1994 to October 1997. He sat on the Hawaii Judiciary’s Restorative Justice Committee and the Committee on Jury Innovations, among others. Judge Town established his practice as a mediator/arbitrator/parent coordinator with DPR Hawaii. Asked by the Governor of Hawai’i to sit as a part-time parole commissioner, he accepted a four year appointment which was extended to the full 8 year term. Like other states Hawai`i has budgetary and program challenges in its prisons with well over 1000 prisoners in mainland private facilities. Judge Town now has the opportunity to apply restorative justice principles to some seemingly intractable situations as a parole commissioner. Judge Town taught Criminal Law in 2011 at the University of Hawaii’s William S. Richardson School of Law to the “non traditional law students” group called Ulu Lehua (budding leaders). This project brings him great joy given earlier Ulu Lehua graduates became his law clerks in times past. 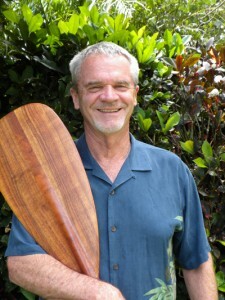 As part of the UH Jurist in Residence program, he was honored over the years to take Associate Justices Ruth Bader Ginsburg, Stephen Breyer and Samuel Alito into the Pacific Ocean in outrigger canoes paddled by law students where he served as coach and steersman. It was an experience that moved and touched each justice in their own way. Judge Town speaks locally, nationally and internationally on subjects such as resiliency, vicarious trauma and compassion fatigue in judges, judge as coach, problem-solving courts, and therapeutic, preventive and restorative justice. He published several articles on those subjects. Judge Town served as faculty for Proyecto Acceso, based at the California Western School of Law. The project promotes the rule of law in Latin America. Judge Town received an LL.M. from Yale School of Law, J.D. from Hastings College of Law and A.B. from Stanford University. He was an adjunct professor of law at the University of Hawaii’s William S. Richardson School of Law for 11 years. Judge Town is active in his community sitting as current Chairman of the statewide Alliance for the Boys and Girls Clubs in Hawaii and as a founding member of Positive Coaching Alliance Hawai`i. He is fluent in Spanish and served with the United States Peace Corps in university athletics in Colombia, South America. He is married with four children and several grandchildren. He is active in his community serving as an ocean sports coach with Nakamakai, an ocean and cultural awareness clinic for the children of Hawai`i.